Just the sight of that phrase sends chills up and down the spines of every person who has ever sat for an examination of any kind where serious consequences could result. An admission test for a college. A licensing exam. 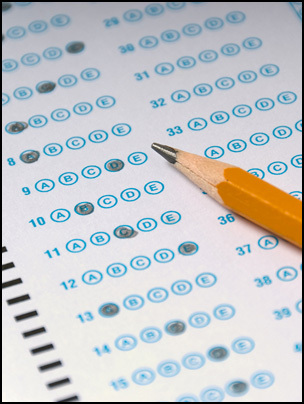 A test-paper in legal parlance doesn’t have anything to do with students or teachers. Well, yeah, but that’s not the whole story. Generally, when folks wanted to prove that a signature on a piece of paper was, say, John Smith’s, they could do it by bringing in a witness who could say he saw John Smith sign that paper, or they could bring in a witness who could say he was familiar with John Smith’s handwriting, or they could bring in another paper that they could prove had been signed by John Smith and the jury would look at the two and compare them. Tests used to send me into panic mode. Hmmm. So what would other jurisdictions call the ‘test paper’, since I’m certain there must have been such a way of proving a signature…? It’s often simply called an “exemplar,” Celia. Lovely word – my Latin is about 55 years old these days! Hope you’re enjoying your away time, Judy!